Count the number of times you've said "no" to an idea. Whether you inadvertently put out a spark of brilliance or nixed a nonstarter, your response took away someone else's opportunity to feel heard. And that's an innovation killer. No one knows this truth better than improv expert Karen Hough. 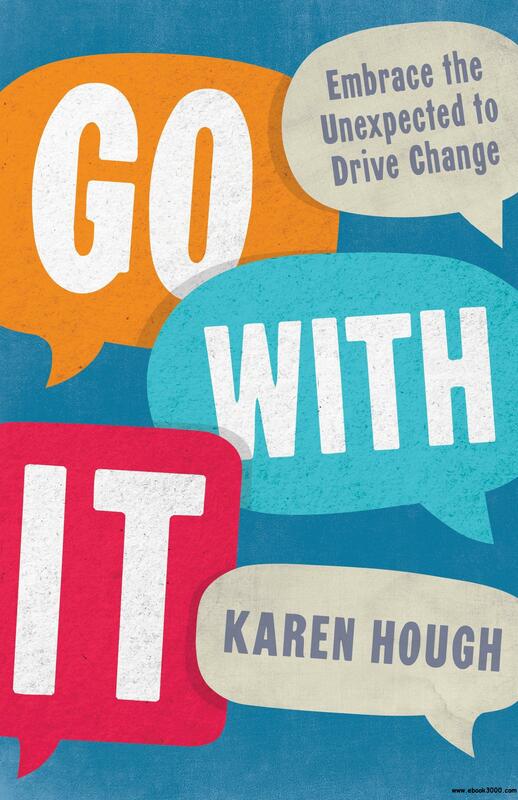 Go With It: Embrace the Unexpected to Drive Change brings you Hough's discoveries from the front lines of innovation. She has seen how business innovators deal with dichotomy by preparing, playing, and thinking upside down. Improv troupes succeed on stage because they apply the "Yes, and" principle. Whatever the first person says, the next person affirms and adds to it. But this practice isn't limited to onstage brilliance-corporate teams caught up in old patterns of thought and action can learn to improvise and innovate, too. Pharmaceutical scientists who know how to improvise can accelerate their fuzzy front-end work on new drugs. Technologists who are masters of going with it know how to successfully bring their breakthroughs to market. Executives who use improv techniques get their teams working and innovating together. Their stories fill this book. And they emphasize that it's the process of listening, agreeing, and discussing an idea that's monumentally important. Karen Hough is the founder and CEO of ImprovEdge, a company that creates learning experiences, training, and consulting using improvisation to teach business skills. For many years a senior sales executive in the networking engineering industry, Hough was also a professional improviser and actor for 20 years, including training at Chicago's legendary Second City. ImprovEdge received the silver Stevie International Award for "Most Innovative Company of the Year 2012" for Women in Business. Hough is the recipient of the Athena PowerLink Award for outstanding women-owned business, and ImprovEdge is a certified WBE (Women's Business Enterprise). Hough writes numerous articles for industry media and has been featured in TD magazine, Mashable.com, and BusinessInsider.com. She is a national conference keynote speaker on topics such as executive presence and presentation skills, negotiation, and leadership. Hough is on the advisory board of Key Bank's Key4Women National Initiative, and on the board of WELD (Women for Economic Leadership and Development), as well as a past board member of Yale's Whim 'n Rhythm Alumnae Association. She is a member of AFTRA (American Federation of Television and Radio Actors), NAWBO (National Association of Women Business Owners), NSA (National Speakers Association), eWomenNetwork, and ATD. Hough trained with Chicago's legendary Second City and had a career in stage, film, and TV, and was in more than 100 live and filmed productions. She worked with the Metraform/Annoyance Theatre, the Organic Theatre, and the Purple Crayon of Yale. She worked for many years as a senior sales executive in the network engineering industry in New York and Chicago. She originated and expanded the sales and management efforts of three separate technology startups, launched partner programs, and assisted in East Coast and national expansions. Hough is a graduate of Yale University and La Sorbonne, Paris IV. She is deeply committed to volunteer activities and philanthropy. A portion of ImprovEdge profits go each year to support the Women's Fund of Central Ohio, Kiva, Computers for Youth, and DonorsChoose. Her volunteer activities include teaching improv classes for high school students in rural Kansas and confidence-building workshops for Chicago inner-city schoolchildren. She resides in Columbus, Ohio, with her husband and three children.